* When were the first recorded sightings of aliens? * Where do most sightings occur? * What kind of scientific evidence is there for the presence of aliens? * How is the government responding? * How will an alien abduction affect your personal relationship? Jim Moroney's The Extraterrestrial Answer Book is a valuable guide for everything extraterrestrial. In it, Moroney outlines steps the government needs to take to address the presence of extraterrestrials, as well as those average people can take. 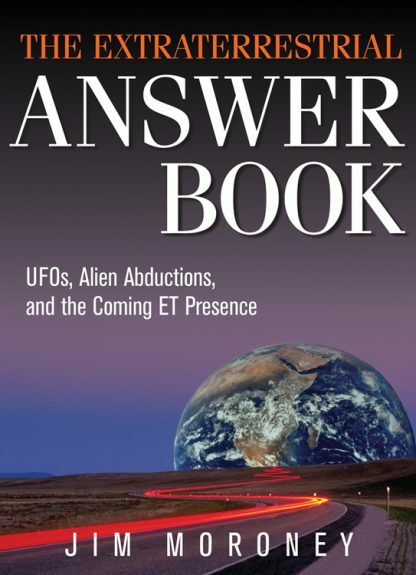 Full of practical advice to help you prepare for an encounter with an extraterrestrial, The Extraterrestrial Answer Book succeeds in answering the most important question in the debate over extraterrestrials and UFOs.